Frosty’s back and now he’s got a wife! 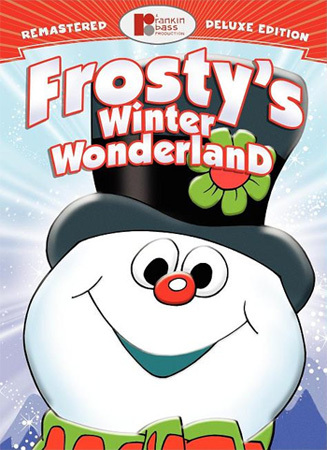 Frosty’s Winter Wonderland, the beloved sequel that continues Frosty the Snowman’s adventures, is now available as a DVD deluxe edition so that you can share the love of Frosty with your family yet again. The story takes place years after the original. The children want him to return from the North Pole, like he promised, and he wants to return as well. So, when the first snow of the season is forecast, he decides now is the time. But even with all the fun he has meeting up again with his old friends, he still feels lonely when they return home in the evenings and he has to remain alone. So, they solve that problem by making him a snow wife! But how to make her come to life just like he is? That’s easy, with the power of love. So, it looks like Frosty and his new bride, Crystal, will be happy forever. But, alas, as with the original special, there’s always got to be a bad guy. This time, the bad guy comes in the form of Jack Frost, who seeks to taunt and tease the two-some for their apparent happiness. If Jack is miserable, all those around him should be, too. But each of his attempts are met with disaster. 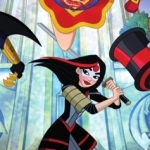 Removing Frosty’s hat only temporarily freezes him, and making a blizzard to stop Frosty’s wedding is halted when Crystal asks Jack to be in the wedding. And the three of them have fun and play with the children all winter long until the touches of Spring start coming to town. Jack, wanting the fun to continue, tries to prolong winter just a little longer. But the party has to end sometime, so they all return to the North Pole together and promise to return again when the weather turns cold. Produced in 1976, this animation was written by Romeo Muller, who wrote the original, and Jackie Vernon returns as the voice of Frosty. As narrator this go-around is well-known actor Andy Griffith and, yes, he even lends his vocal talents to the production. I adore the Rankin-Bass animations, so getting to watch them whenever I want is always fun. If you’re a fan of Frosty, or just want to relive your childhood once again, be sure to check this one out!